The owner and president of Flight Training Technologies talks about a flight training management application for use by flight instructors, students, and Part 61 flight schools. Also, recent developments in the search for Amelia Earhart, progress toward electric general aviation aircraft, how Air New Zealand is managing their customers in the face of an equipment change, the United Airlines bonus program fiasco, and some comments on the Airbus A350 vs. the Boeing 787. 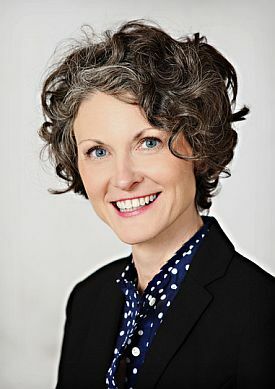 Amy Labus-Olson, owner and president of Flight Training Technologies, LLC. Amy Labus-Olson is the owner and president of Flight Training Technologies, LLC. which provides an online flight training management application for use by flight instructors, students, and Part 61 flight schools. As a CFII (Certificated Flight Instructor – Instrument), Amy saw a need in the small business flight training industry for a paperless management system for maintaining students’ flight training records. As a college educator, she used digital solutions to effectively manage her students and wanted that same level of professionalism in management in the flight training environment. 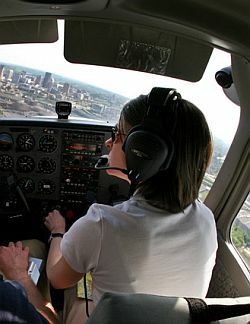 She created the Skynotes web app which provides users with a calendar/scheduler, flight and ground curriculum with lesson set up tool, a flight training logbook with IACRA tracking, CFI records logbook, FAR requirement and FAA endorsements checklist, a resource library, and free online ground school through Pilot Training System. The goal of Skynotes is to keep students and instructors informed and engaged in their flight training program from start to certification, no matter how many instructors the student has throughout their training. Amy holds a commercial certificate with multi-engine and instrument ratings along with a CFII and remote pilot certificate. Amy has taught for a variety of Part 61 and 141 flight schools and also as an independent CFI. 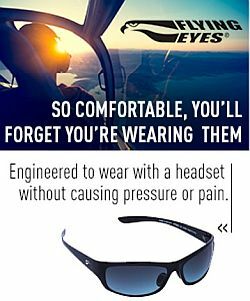 Learn more about Skynotes at the Flight Training Technologies website, on Facebook, LinkedIn, and on Twitter. Also, see the post in Airscape about Skynotes. Human bones were found on the Pacific island of Nikumaroro in 1940 and there was speculation they belonged to Amelia Earhart. A 1941 forensic analysis concluded the bones were of a man, but speculation continued because the methods then were crude by today’s standards. Now, University of Tennessee professor Richard L. Jantz has employed a computer program used by forensic anthropologists called Fordisc to revisit the measurements originally taken of the bones. He concluded the measurements match what is known about Earhart’s physical dimensions. This bill passed in the Senate on March 7, 2018, and goes to the House next for consideration. In the U.S., where LSAs were viewed as the likely entry point for electric, there is a problem. The regulatory language uses the word “reciprocating,” which excludes turbine engines, rocket-power, and electric motors. Nevertheless, Greg Bowles, GAMA’s Vice President for Global Innovation & Policy, expects to see certified electric aircraft in regular use within three to five years. Bowles is also chairman of ASTM Committee F44 on General Aviation Aircraft, which is defining performance standards that work with the 2016 regulation reform that took Part 23 from a prescriptive model to a performance-based model. This entry was posted in Episodes and tagged Air New Zealand, Amelia Earhart, electric, flight training, United Airlines on March 14, 2018 by maxflight. An interview with a Blackbird pilot, and another with Amelia Rose Earhart. Also, aviation type clubs, the 2014 AeroSpace X Awards, and we welcome a new team member. Rob tells us the history, meaning, and future implications of the American Labor movement. Jamie Dodson met with U.S. Air Force Colonel (Ret.) 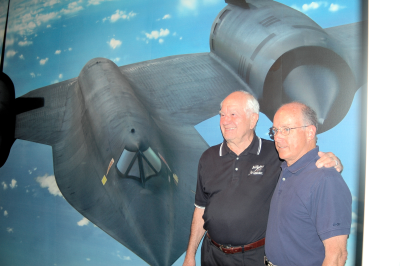 Ken Collins at the Southern Museum of Flight, at the invitation of Dr. Jim Griffin, Director Emeritus. Ken was one of the first pilots to sign on to the secret CIA OXCART program. Jamie Dodson is author of the award winning Nick Grant Adventures Series. Max Flight talks with Brian Coleman, who joins us as an Associate Producer. Brian is focused on identifying and scheduling guests. Recorded at AirVenture 2014 in Oshkosh. Learn more at The Amelia Project. Meanwhile, Virgin Australia reports a loss (but their 737 MAXs will apparently be online before Jetstar’s A320 NEOs) while Air New Zealand shows them all how it’s done and reports a profit. Pieter Johnson introduces the 2014 AeroSpace X Awards, Xtended’s annual awards to the industry. He needs your help with support, and of course nominations. Send nominations to X10D@mail.com. Follow the awards with the Twitter hashtag #AerospaceX. Aircraft type clubs are General Aviation’s best-kept secret weapon. 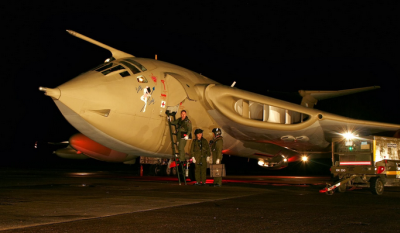 While there are more than a hundred of them, they fly stealthily below the radar of most pilots, who seem to be blissfully unaware of their existence and benefits. Only a fraction of pilots belong to any of them, yet they offer the best value proposition in aviation: they’re cheap and they could save your life. You can find a list of them at data.aopa.org/associations. COPA, the Cirrus Pilots Association can be found at www.cirruspilots.org. The Cessna Pilots Association web site is www.cessna.org. Micah’s recording titled, “Non-Geek Gripes” looks at air travel from the perspective of the average traveler, compared to that of an airplane geek. 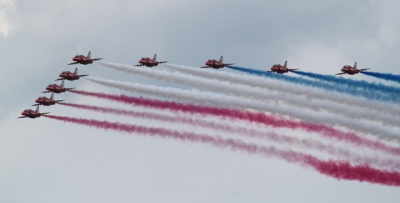 Post photo from Farnborough by Ian Allen. This entry was posted in Episodes and tagged A-12, AeroSpace X Awards, Amelia Earhart, clubs on September 3, 2014 by maxflight. Our guest this episode is Keith Smith, the Founder and CEO of PilotEdge, which connects your flight simulator to live PilotEdge Air Traffic Controllers. Keith is also an instrument rated pilot and regularly flies a Lancair 360 out of Lincoln Park, NJ. PilotEdge provides real ATC as you fly your sim, so you are interacting with controllers and other planes and thus flying with real consequences. It’s not synthetic ATC playing in the background. These are active duty Controllers, retired Controllers, and experts culled from other FS virtual networks. PilotEdge brings a flight simulator to the next level for hobbyists, student pilots, professional pilots, flight training facilities, and airlines looking to increase simulation realism to improve training. Along the way, Keith provides some good tips for those looking to get started in flight simulation and learning ATC. Find PilotEdge on the Web at PilotEdge.net. You can also watch and listen to Keith’s approach and Fisk Runway 27 landing for 2012 Airventure at Oshkosh. Analyst: Could AMR Acquire US Airways in Bankruptcy? 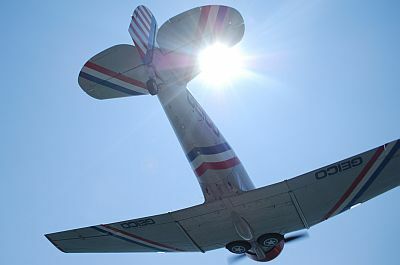 David describes his experience flying with the Geico Skytypers in the SNJ-2, also called the T-6 Texan and the Harvard. GippsAero to commence manufacturing the GA-8 Airvan in the USA, Draken International purchases eight additional ex-RNZAF A4-K Skyhawks to use for training operations in the US, Indonesia to purchase six extra ex-RAAF C130H aircraft in addition to the four already gifted to them, full body scanners to be introduced at Australian airports from November. Pieter reflects on Airport Security. Are they doing a good or a bad job given some of the challenges they face. He gives some amusing and also worrying examples of where it goes wrong and then comes to the conclusion………….well listen in and find out. This entry was posted in Episodes and tagged Amelia Earhart, American Airlines, ATC, autonomous, flight simulation on August 22, 2012 by maxflight.